The answer to our Sunday teaser was that of the Arc de Triomphe du Carrousel, along with a rare capture of a fly-by, with a plane heading directly over. Congratulations to nataliescarberry again for having the correct answer! A rare flyby of three planes travelling over the Arc de Triomphe du Carrousel, Paris. 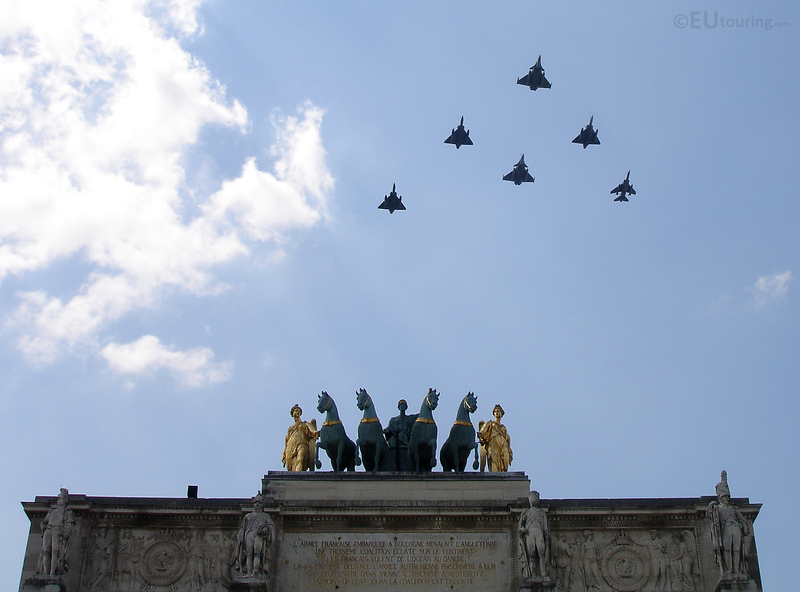 Looking to the replica of the Horses of Saint Mark on the Arc de Triomphe du Carrousel with a rare flyby formation overhead. 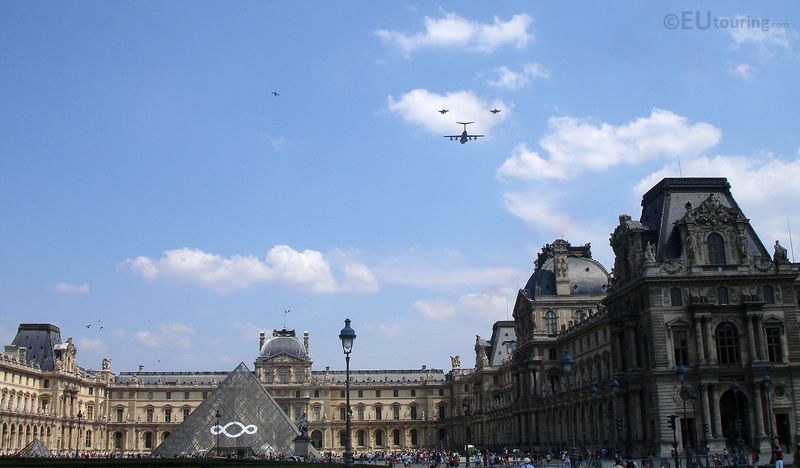 Taken of a rare fly by this photo we captured shows four planes going over the famous Louvre Museum in Paris. 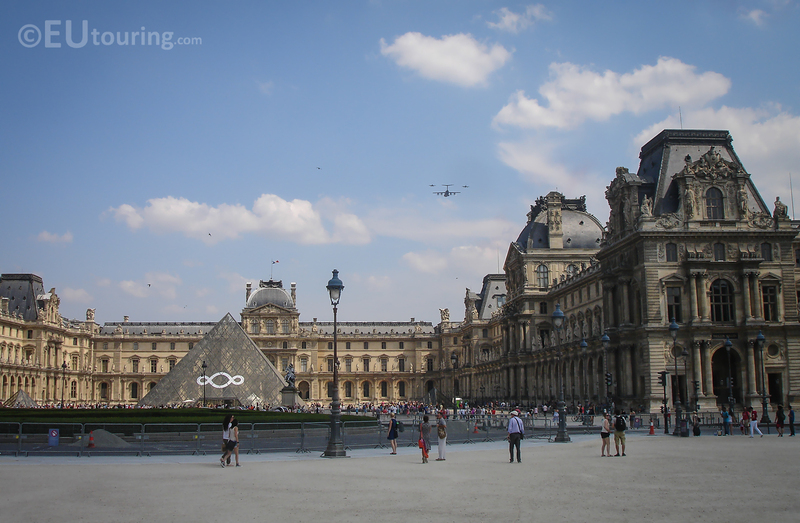 This photo shows a group of three planes travelling as part of a fly by and going over both the Louvre Palace and Louvre Pyramid which are also in view. In this photograph you can see a shot of one larger plane, followed by two smaller ones as they head in the direction of the Louvre Museum from the Tuilleries Gardens.